In a further push to reforms, China’s top legislature, the National People’s Congress, on Monday, finalised a draft proposal on establishing a pilot free trade zone (FTZ) in Shanghai. The proposal has already been approved by the Chinese Cabinet or State Council in July. In the trial zone, goods can be imported, processed and re-exported without the intervention of customs authorities. The zone would also trial renminbi convertibility in Shanghai. 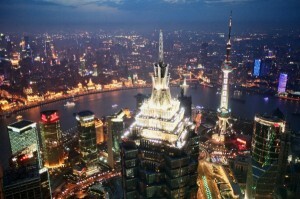 The FTZ, a first in the Chinese mainland, is being hailed as a step towards further opening up of the Chinese economy. Restrictions on foreign investment in the zone is expected to be relaxed as state media reported the approach would be “a “negative list” approach – a way of deciding what not to do, rather than what to do”. The draft that was being worked on by the Chinese Congress would allow foreign companies to participate in antique auction, earlier barred by Chinese law as foreigners were not allowed to buy cultural relics. Commerce Minister Gao Hucheng said at the session on Monday that 12 such items of policy, and related laws will be suspended. The zone is expected to help Shanghai to cut costs of trade, promote cross-border yuan financial services, concentrate logistics and communications assets and provide tax advantages to resident firms.